(Havelock-Belmont-Methuen Twp., ON) – At approximately 1:30 A.M. Provincial Police responded to a Break-In to a seasonal residence on Fire Route 93A north of the Village of Havelock. The victim notified police that an unknown male had gained entry to his cottage and was residing there without his permission. Attending officers entered the now unlocked residence and during a search of the interior located clothing and a passport not for any of the known cottage residents. Police searched the exterior of the building but failed to locate the perpetrator. Further information revealed that the suspect had fled the cottage in a stolen canoe. At approximately 6:24 P.M. a male matching the suspect’s description was located by police walking west on Highway 7 toward Norwood from Havelock and subsequently arrested. The suspect, Alexander Giuseppe CAMPAGNARO age 35 years of No Fixed Address has been charged for Break and Enter with Intent and Theft under $5000. 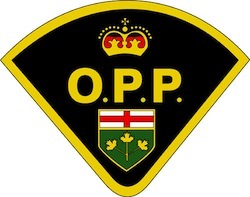 COMPAGNARO was held in custody and is scheduled to appear at the Provincial Courts in Peterborough on Thursday May 16, 2013 for a Bail Hearing.